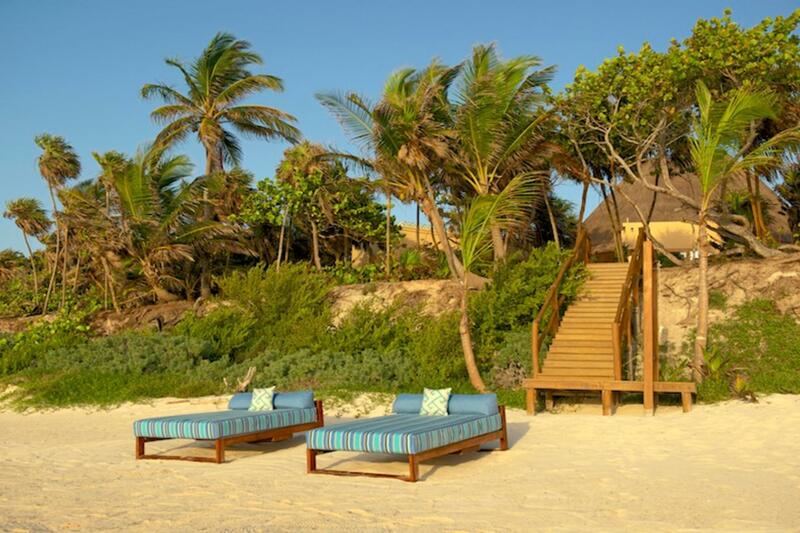 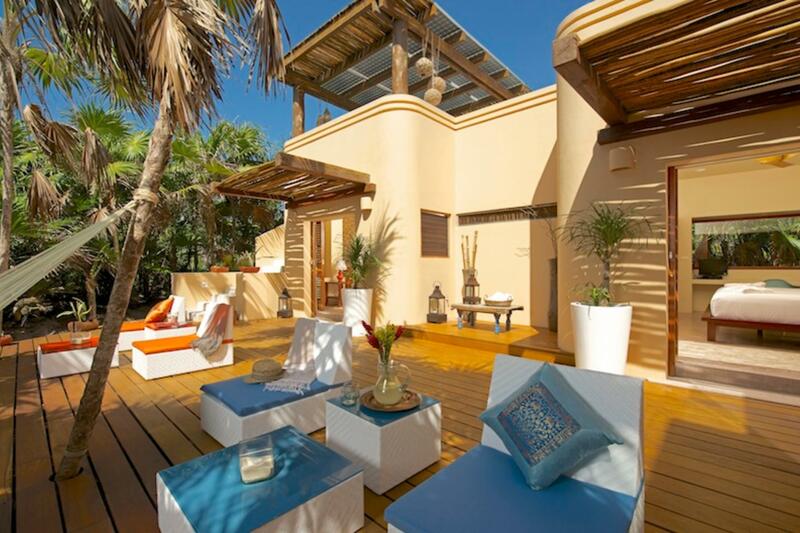 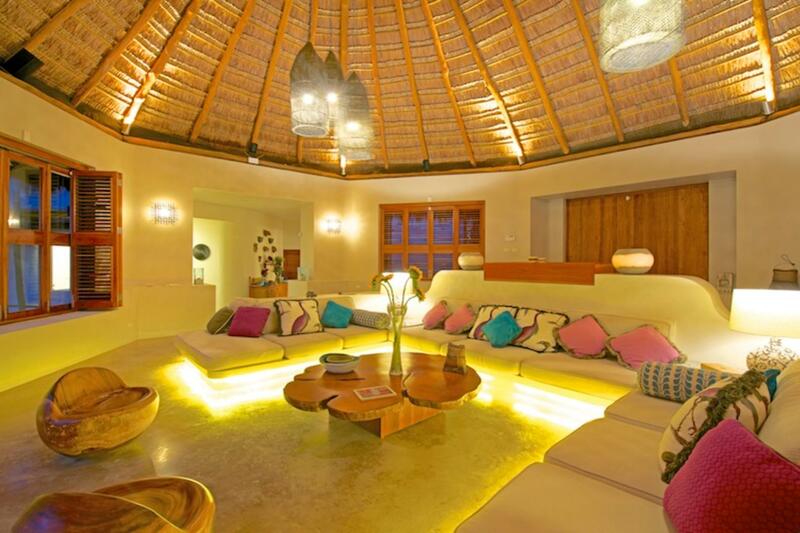 Casa Yakunah is a gorgeous estate in the Siaan Kaan biosphere of Riviera Maya, Mexico. 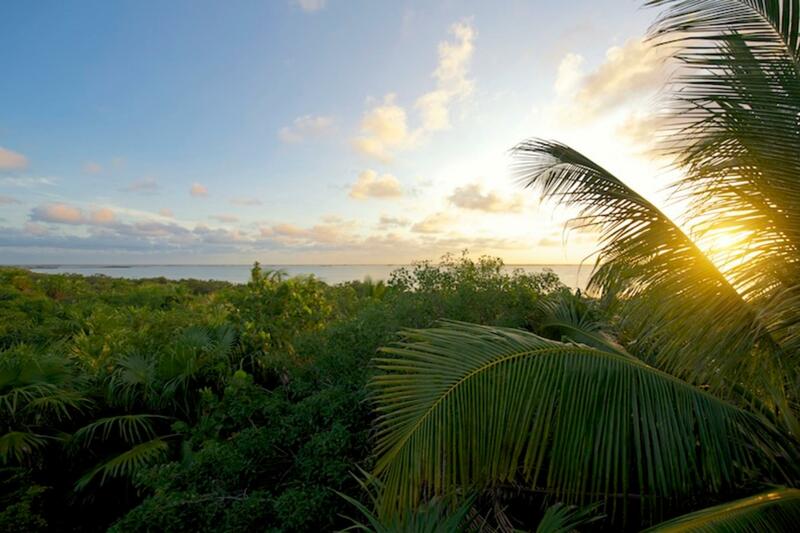 Surrounded by lush tropics and a rich abundance of marine life, this region is famous for its stunning vistas and verdant landscape. 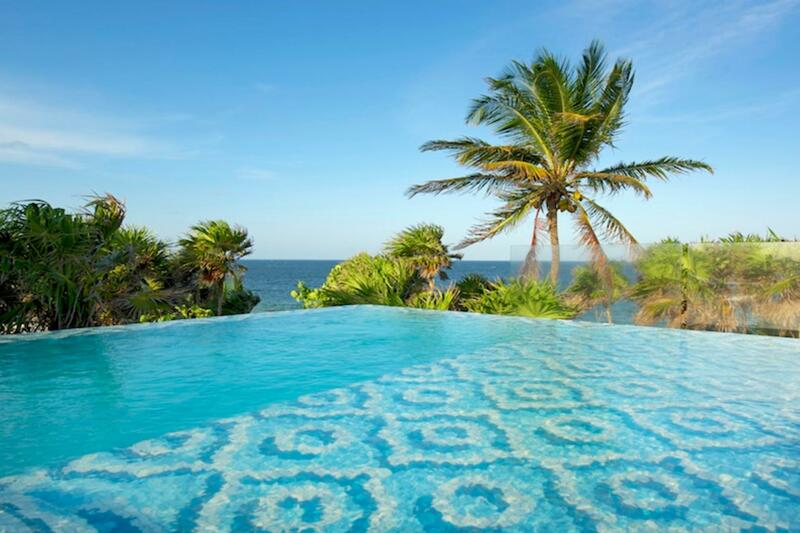 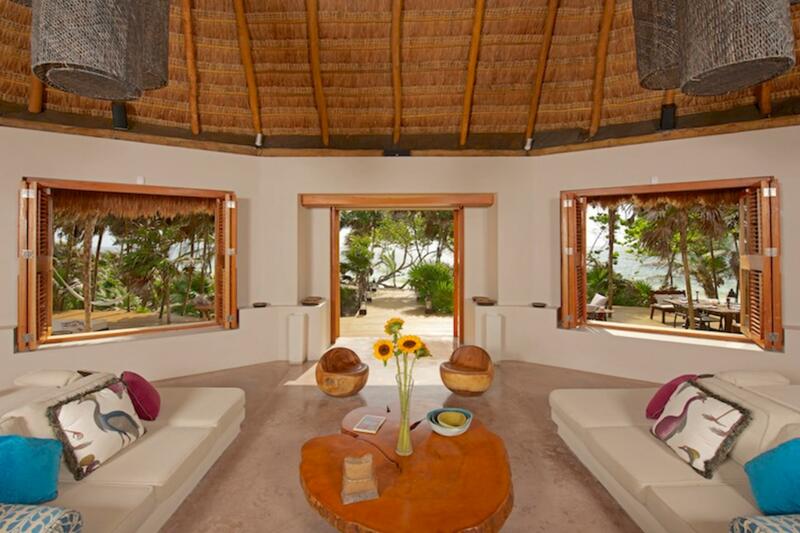 Casa Yakunah boasts 100 meters of breathtaking beach frontage, offering guests a peaceful atmosphere and coveted seclusion. 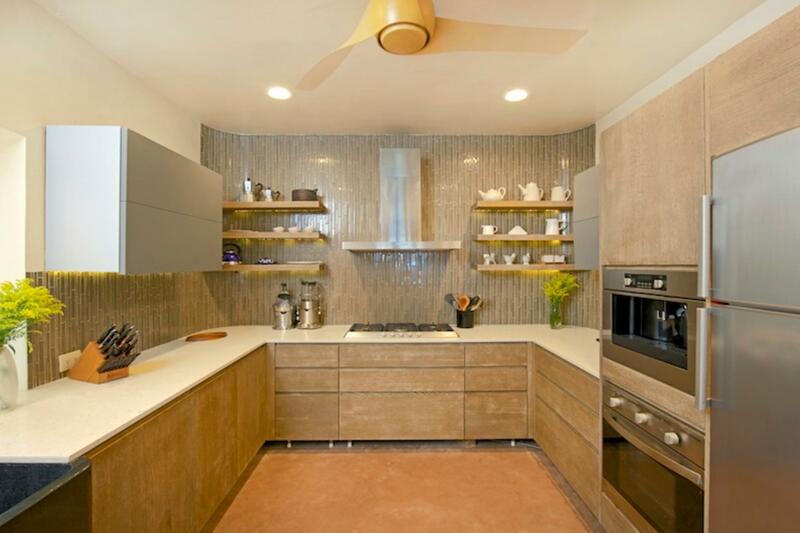 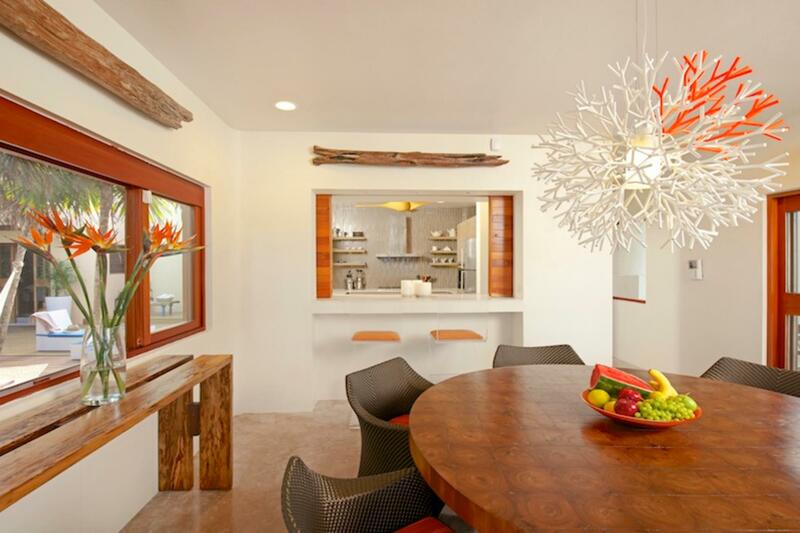 Just seven kilometers into the reserve, Casa Yakunah is an energy efficient home that powers modern amenities while causing minimal environmental impact. 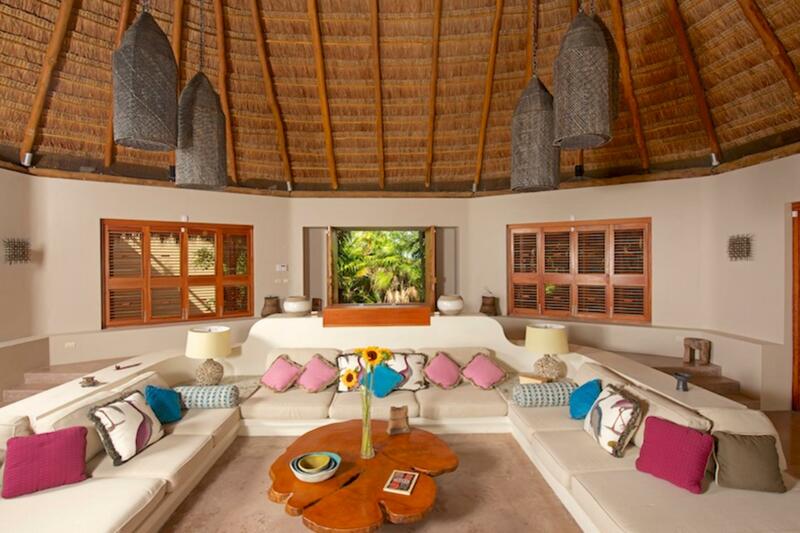 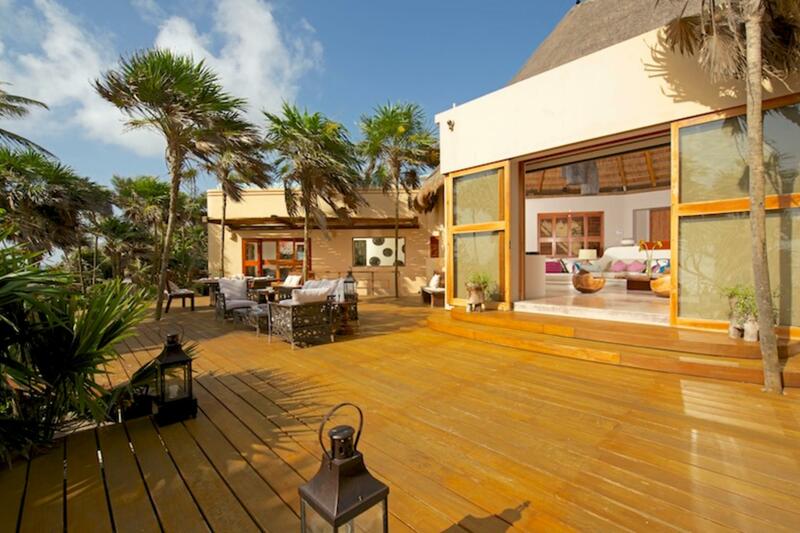 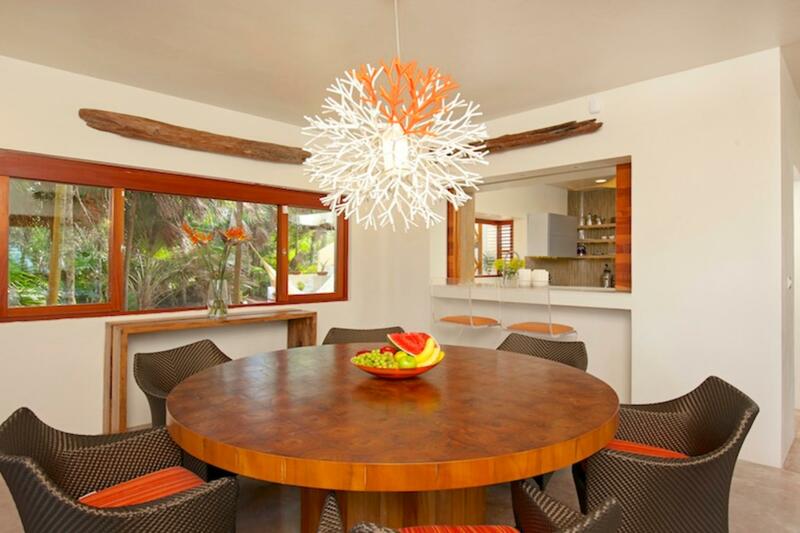 A generously sized living space sits underneath a large palapa roof, and tall windows on all sides allow the ocean breeze and sunlight to pour into the home. 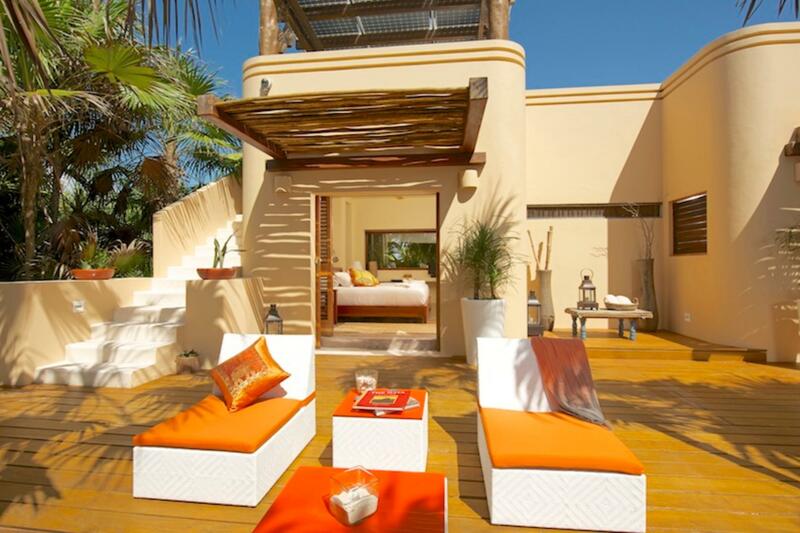 Inside, guests will find a plush sofa, a large screen project, and surround sound speakers, optimizing the space for indoor entertainment. 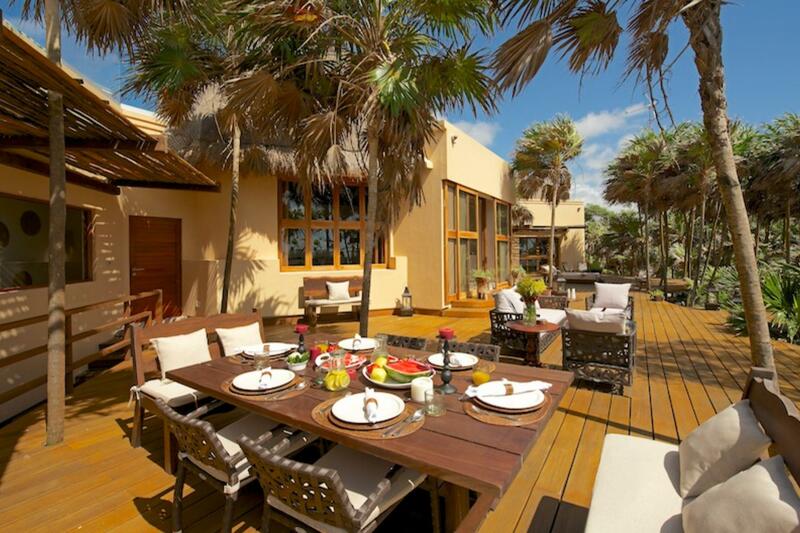 Outside, an oceanfront deck features multiple spaces for dining al fresco or lounging outdoors. 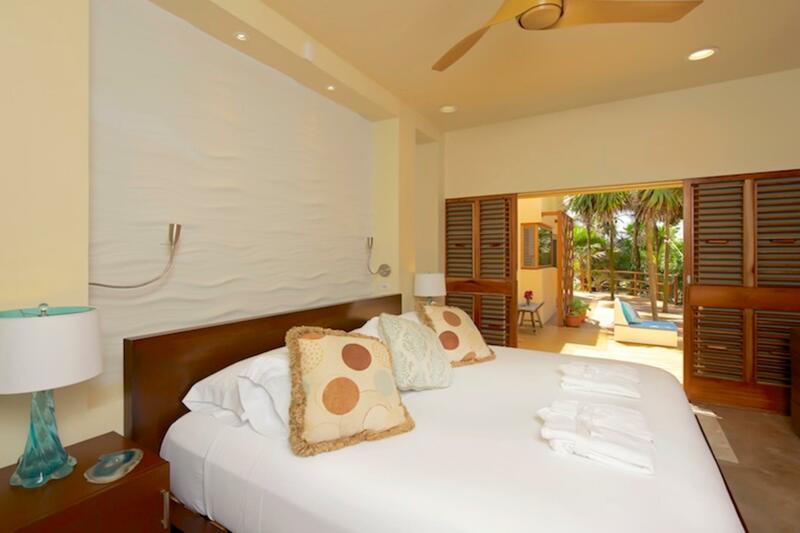 In a separate casita sits the large master bedroom. 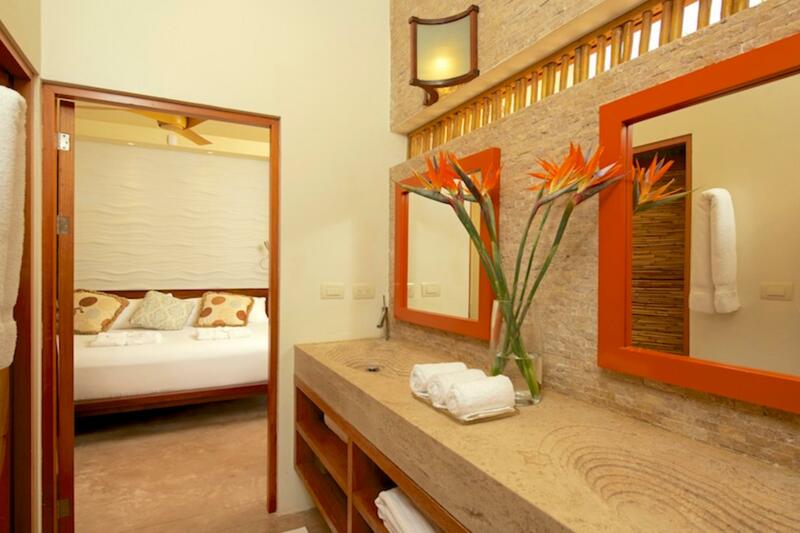 Here guests will find a king bed, Sky TV, and a sumptuous bathroom with double showers, a vanity, and a wooden bathtub. 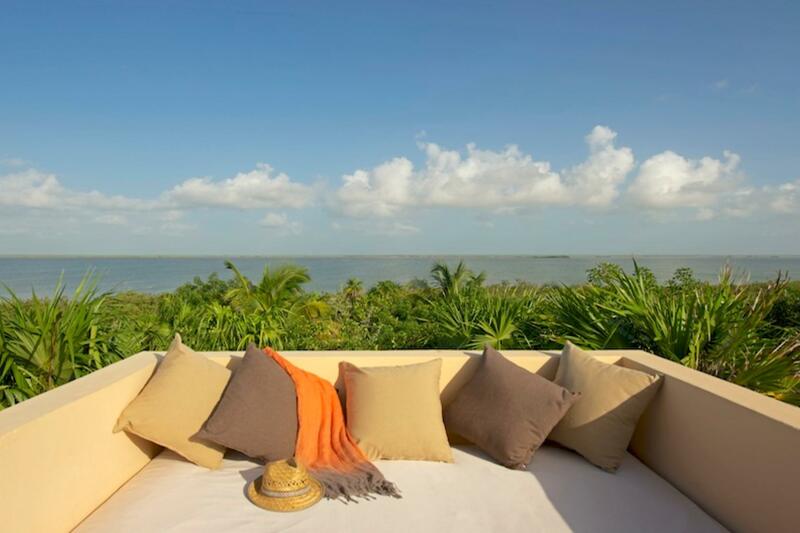 Above the casita, a private rooftop provides exquisite vistas of the lagoon and the ideal spot to sunbathe in the warm Rivera Maya sun. 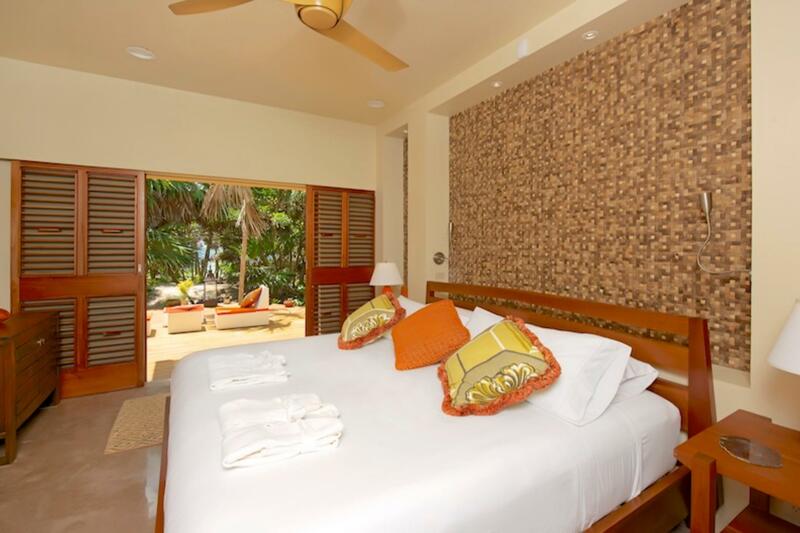 Two guest rooms can be found in the villa, both featuring king beds, air-conditioning, and sky TV. 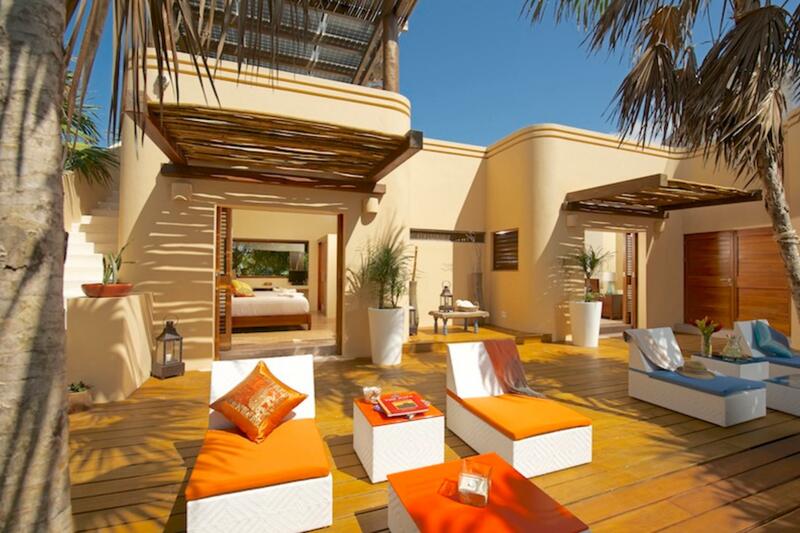 These rooms open up to a deck that boasts direct access to a rooftop pool. 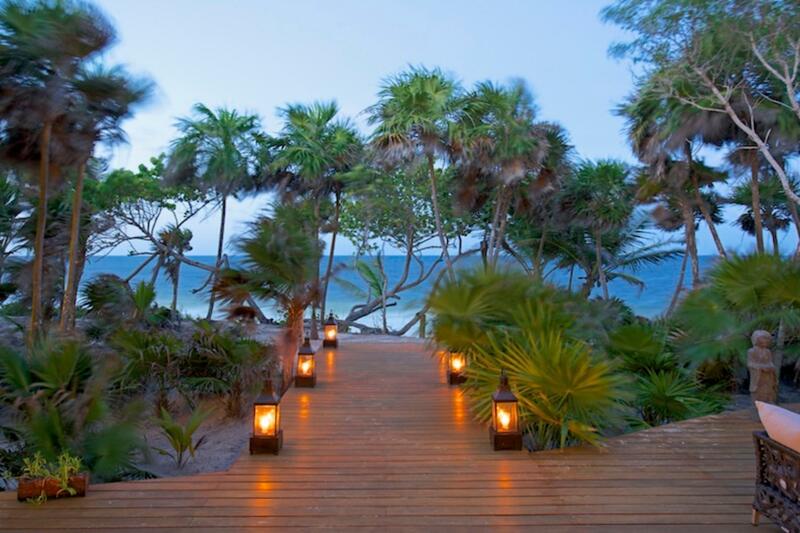 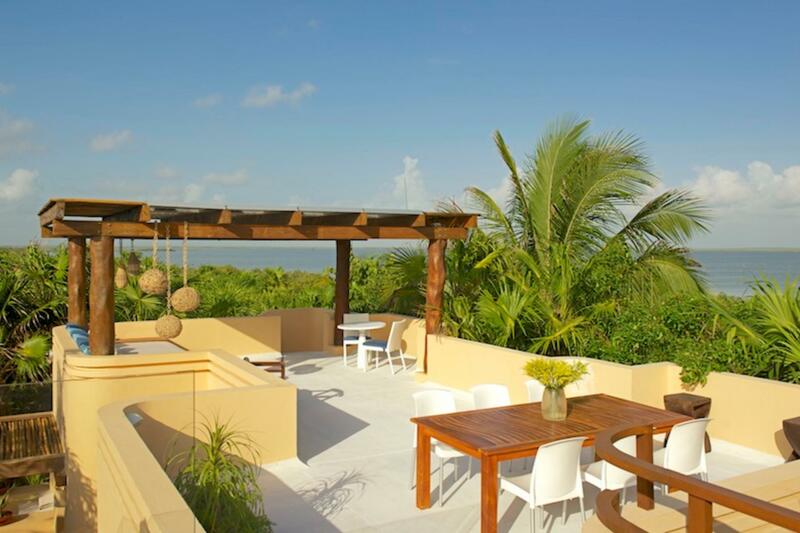 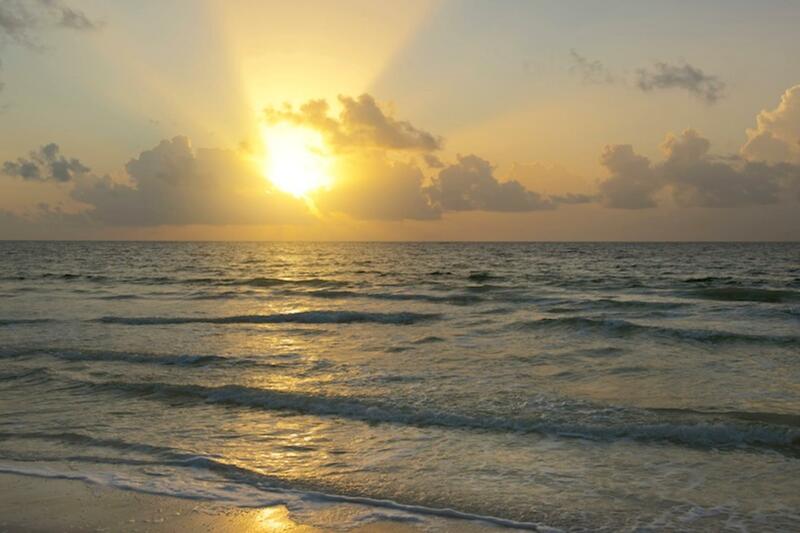 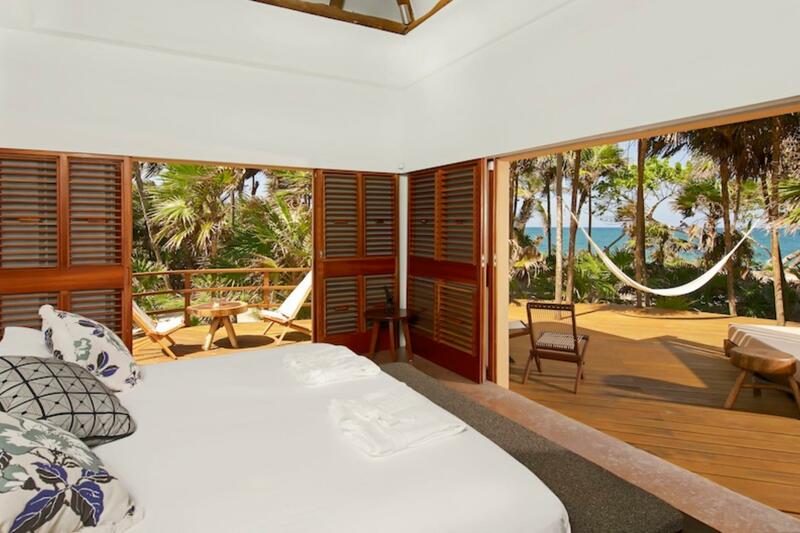 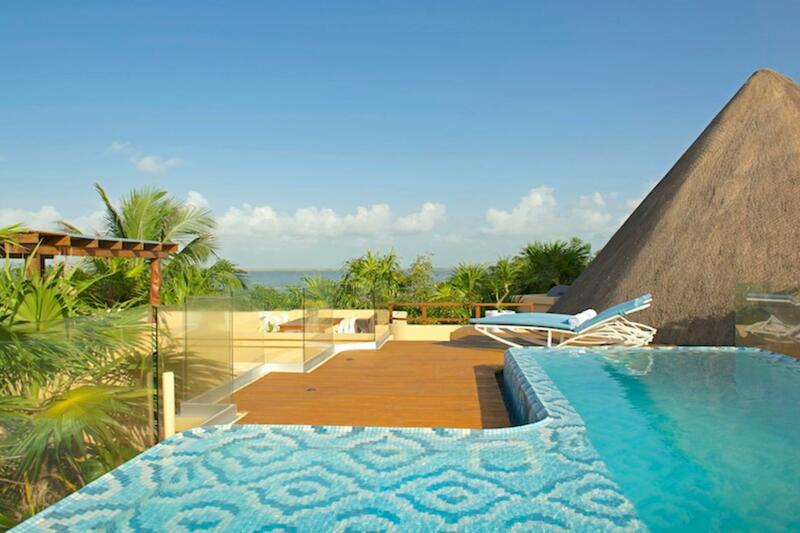 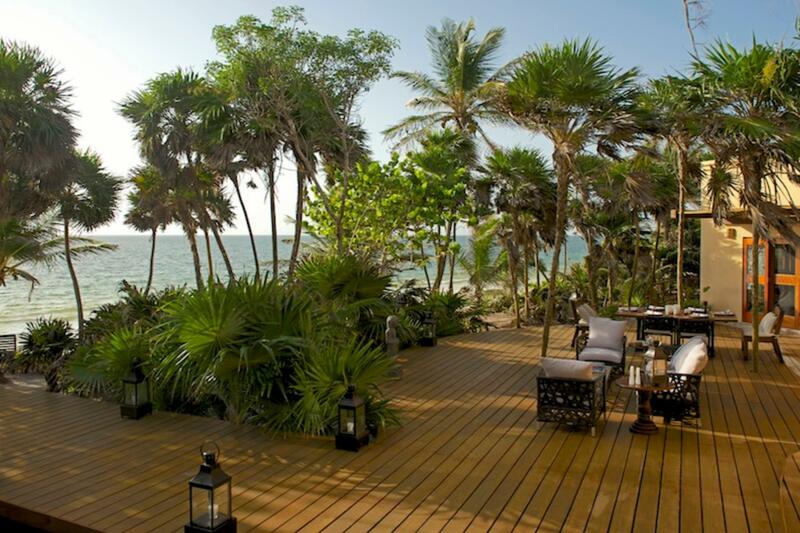 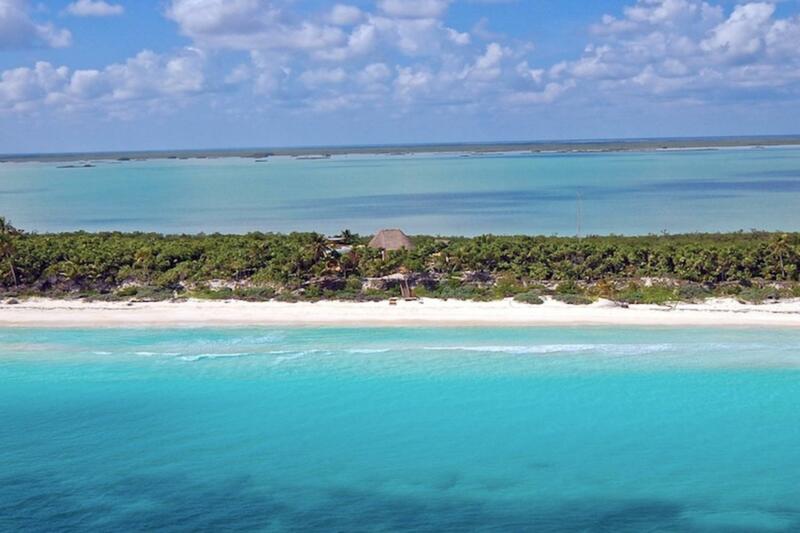 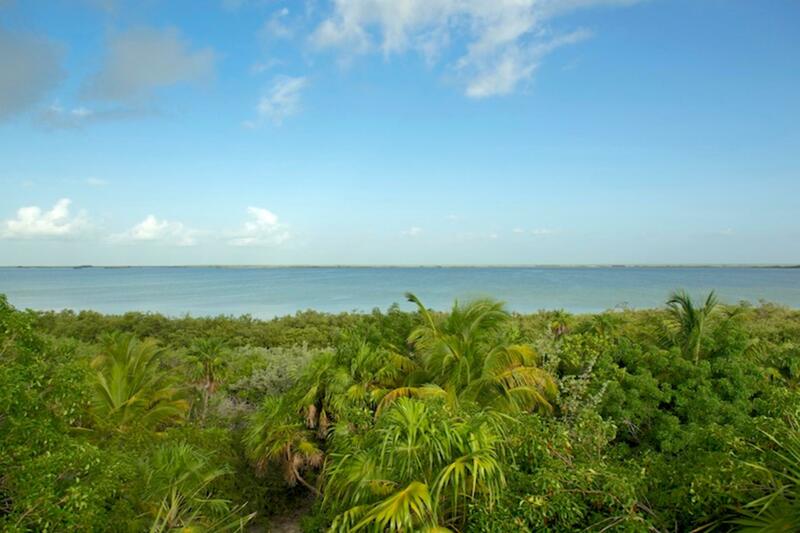 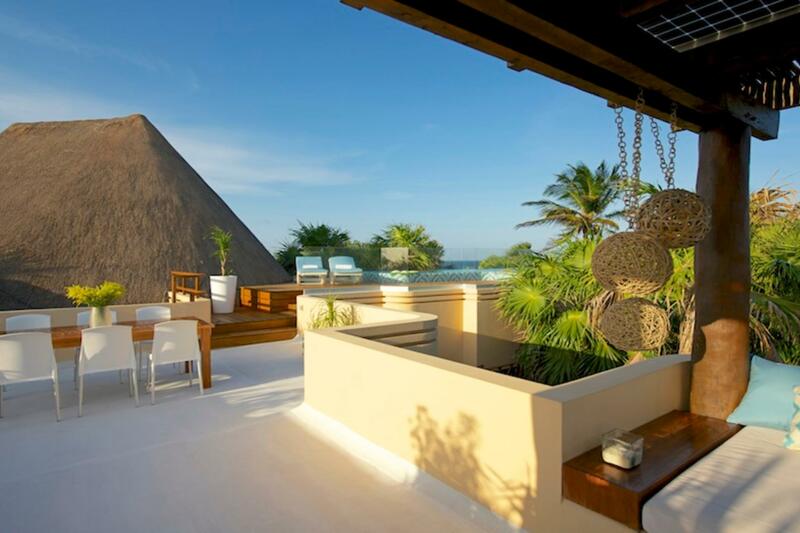 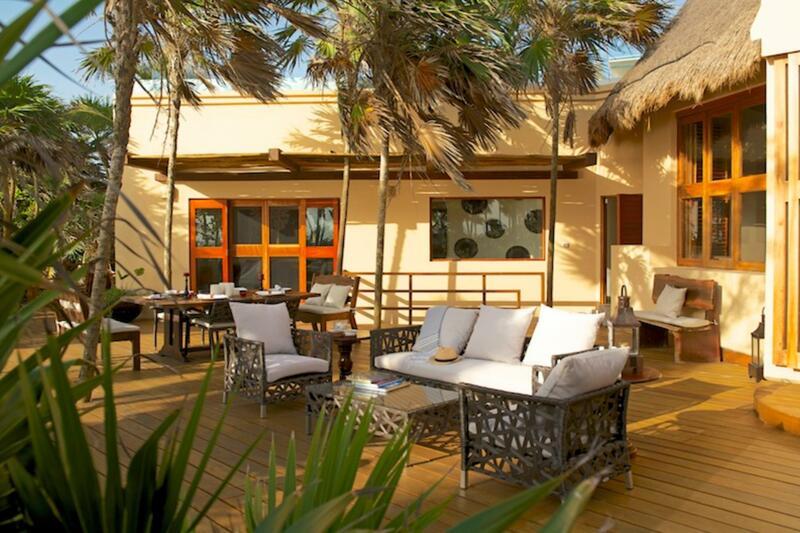 Book a stay at Casa Yakunah today to experience the rich tropics of the Si'an Ka'an Biosphere. 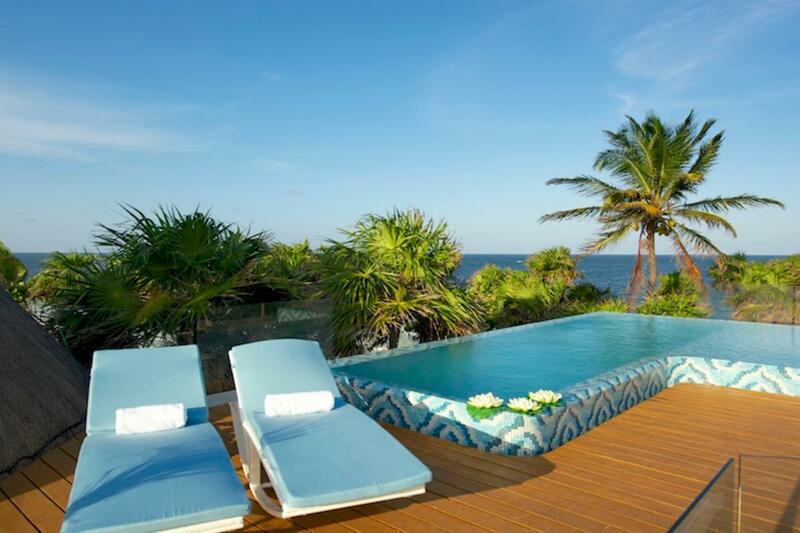 Reserve today through Villaway to get the best rates on this estate.